The next meeting of the Ulysses Reading Group is on Sunday 10th of November 2013 at 7.30pm in Muir Court. We continue our reading of Penelope from the line “Mulveys was the first when I was in bed that morning”. This is likely to be the meeting where we finally finish reading Ulysses after 3 years and 36 monthly meetings. Thanks to all those who took part whether as regular attenders or those who may only have joined us a few times. We will let you know what the group’s next project might be. In Penelope, Molly Bloom remembers her childhood in Gibraltar. 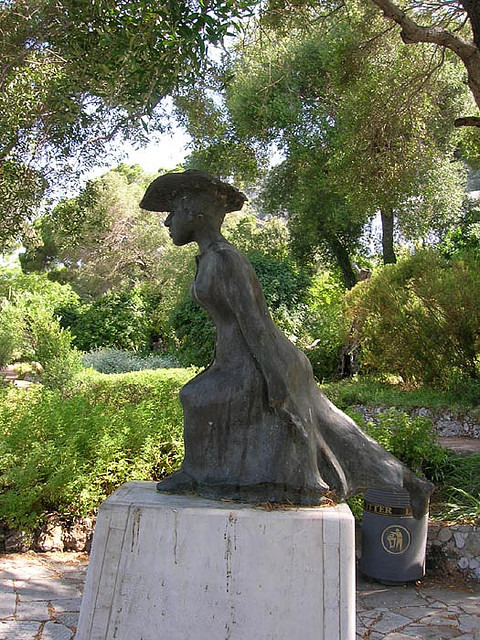 There is statue of Molly in the Almeda Gardens in Gibraltar as the 15 year old Marion Tweedy, running to school.